How can related asynchronously published events be effectively stored and queried? Events processed by a microservice may relate to different tasks and may be published out of sequence, making it difficult to retrieve accurate and complete historical reports for auditing purposes. Related events are appended to each other, regardless of the sequence in which they are published. This establishes relationships between the events that allows for accurate and complete auditing and reporting. The publishing microservice identifies related events that are appended when stored in the event database. 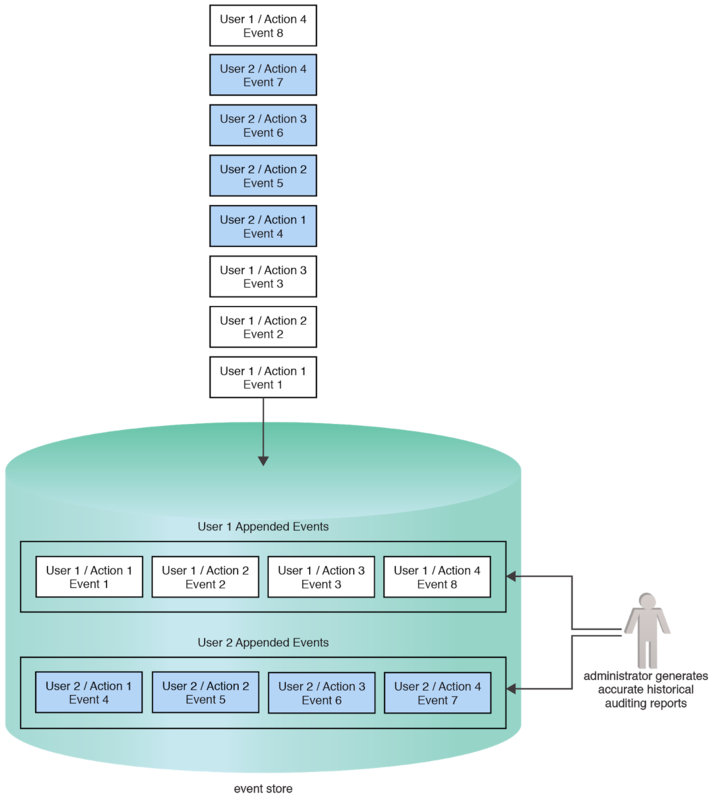 The event publishing microservice associates related events and informs the event store of these relationships, which results in related events being appended. Appended events can then be queried to assist in the generation of accurate and complete auditing reports. The event data is appended so that related events are associated with each other. This enables the administrator to effectively query the event store for meaningful auditing information. This pattern can be applied in different ways, as explained in the complete pattern description.